At 2:00 PM on 26 January 2017, in the Leventis Hall of the National Museum of Natural History, Sofia (NMNHS) at the Bulgarian Academy of Sciences a permanent exhibition devoted to the invasive alien species will be opened. Those species are considered as one of the greatest threats to biodiversity alongside climate change and habitat destruction. 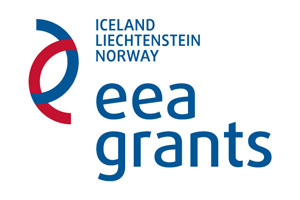 The preparation of this exhibition is one of the goals under project: East and South European Network for Invasive Alien Species — A tool to support the management of alien species in Bulgaria (ESENIAS-TOOLS), D-33-51/30.06.2015, funded by the Financial Mechanism of the European Economic Area 2009—2014, within the frame of Programme BG03 Biodiversity and Ecosystem Services. 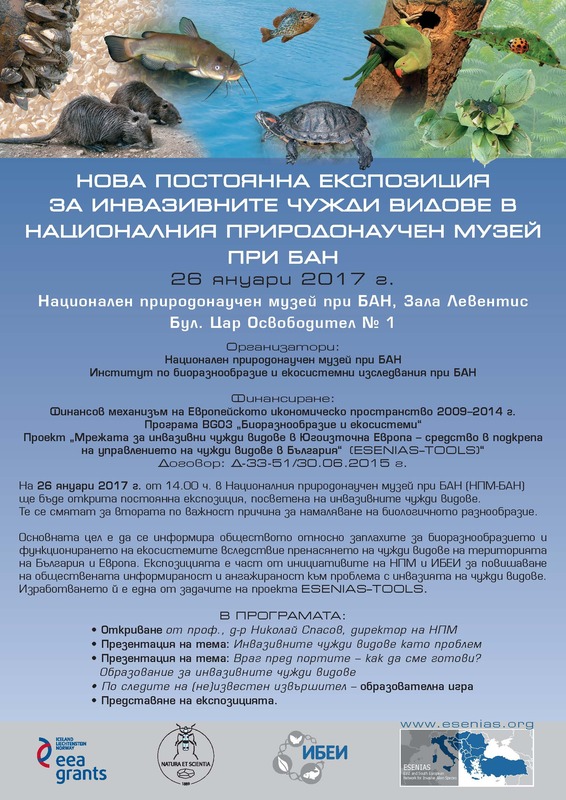 The exhibition has been arranged jointly by NMNHS and Institute of Biodiversity and Ecosystem Research and its main aim is to inform the public about the threats to biodiversity and ecosystem functions, which are posed by the introduction and spread of alien species in the territory of Bulgaria and Europe as a whole.